Welcome to the World of Damotech, the first and largest rack safety solutions specialist in North America. With its lines of rack protection and repair products, Damotech strives to put an end to the endless cycle of upright replacement by focusing on warehouse safety and the permanent elimination of recurring rack damage. Through our engineering services, we will help create a safer working environment for you and your employees, bringing you true peace of mind while saving you money in the process. Damotech helps companies keep their warehouses and employees safe by maintaining the integrity of their pallet racking systems. As the the largest provider of rack safety solutions in North America, we are the partner to help you achieve your safety goals. Nearly half of the FORTUNE 500 companies trust Damotech for the safety of their racking systems. No matter the size of your company or warehouse, or where you are located in North America, we have you covered. 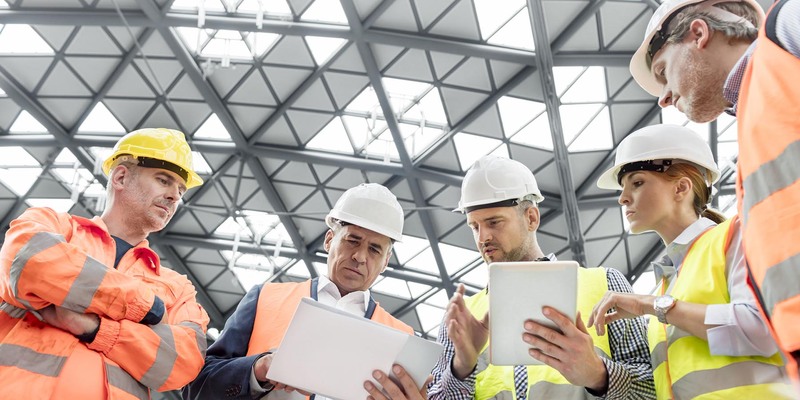 Our team of experts and engineers are dedicated to ensuring your safety and company success! Through our engineering team, we perform conformity inspections, load capacity calculations and employee training to ensure the safety in your warehouses. We also manufacture and install the industry's top performing rack protection and rack repair kits, including the well-known DAMO PRO. Damotech also offers the only truly dedicated rack inspection and management software in the industry. At Damotech, we believe that our dedication to innovation is what sets us apart from the competition and fuels our growth. We are incredibly proud to have been ranked among the top growing companies in Maclean's 2018 Growth 500 List! 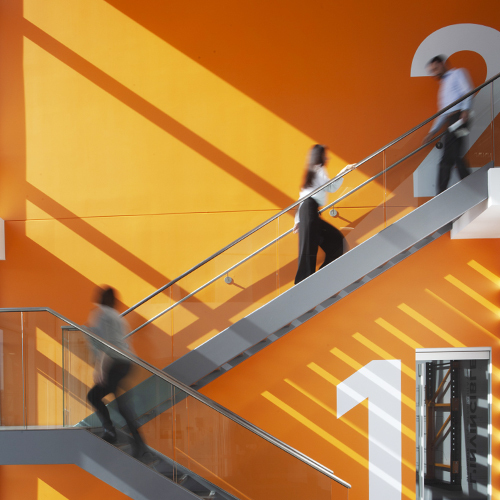 Damotech recently completed the construction of a new LEED-certified facility. It is the result of several years of careful planning to significantly optimize our production line, improve our environmental performance and ultimately, better serve our customers. Damotech started from a desire to improve the efficiency of repairing rack uprights. We knew there was a better way. After much tinkering, the DAMO PRO is created, and we’ve been repairing uprights with it ever since. Eric Naaman and Robert Brooker recognize best-in-class products and excellent growth potential in Damotech, so they acquire the company. 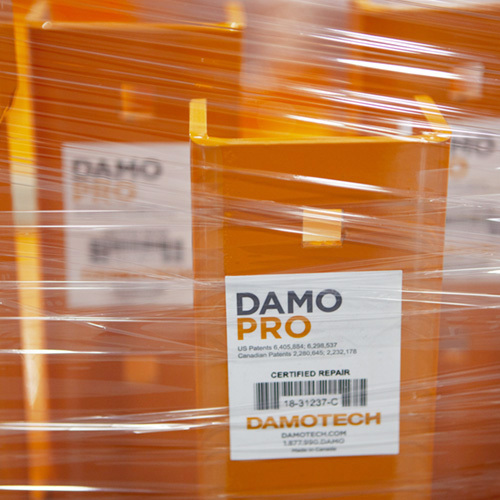 Damotech adds the DAMO FLEX to its line of repair products to offer increased flexibility to clients. 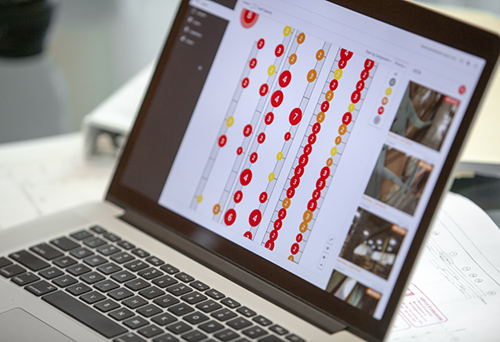 Developers join the Damotech team and create cutting-edge software to survey, inspect and manage pallet rack systems. A new division called Racknowledge is created, entirely dedicated to offering engineering services geared explicitly toward racking systems. Damotech constructs and moves into a new state-of-the-art facility, which obtains LEED certification for its efforts in building sustainably. Eric Naaman becomes sole owner and president of Damotech. Damotech launches the Damotech Web Platform that lets you view the issues and load capacity on an interactive map of your warehouse. Damotech celebrates 30 years of business! Damotech and Racknowledge are united under the Damotech brand to create a rack safety powerhouse. This team of thinkers, innovators and doers brings a wealth of experience together to deliver the best products and services related to racking safety. They have the insight and vision to carry Damotech forward and make the company the best safety partner for its clients. Robert is Damotech's longest-standing employee at 23 years with the company. His extensive experience makes him THE go-to person for anything related to racking and safety. Our clients enjoy working with him as they have full trust in his capabilities and know he will get things done. As Director of Operations, he is responsible for manufacturing processes and technology and supporting Quebec sales. Robert is credited for his participation in the design of the original DAMO PRO and has contributed along the years to ensure that all of our products follow high standards of ruggedness and safety. Charles is a structural engineer (Ph.D.) with more than 20 years of experience in structural dynamics. As Chief Engineer, he is responsible for Damotech’s engineering services and the Damotech software platform. Charles previously worked as Technical Director of Graitec Canada (formerly CivilDesign), the company behind Advance Design America (formerly VisualDesign), an advanced structural analysis and design software for buildings, towers, racking and bridges, in steel, concrete or wood. Charles is renowned for the depth of his knowledge, his sense of organization and his dedication to finding innovative solutions. He is also a wonderful mentor to his team. As Corporate Controller, Frédérick Guay is responsible for the overall financial strategy supporting Damotech’s aggressive growth path. He joined the company in 2014 to guide all financial functions including accounting, business support, financial planning and treasury. He is also involved with HR activities. His career spans more than 20 years of varied experience in financial management and business strategy. Frédérick graduated from the HEC with a Bachelor of Business Administration and is a member of the Quebec CPA Order. Guillaume Marsan is a mechanical engineer with 15 years of experience in the field of production management and process improvement. As the Production Manager at Damotech, Guillaume oversees the production of all our protection and repair products. He is also in charge of managing the entire production team. Guillaume originally joined Damotech in 2006 as a project manager and was responsible for our installations and training. Prior to joining Damotech, Guillaume worked for various well-known companies such as Bridgestone and Paccar. Guillaume holds a bachelor’s degree in mechanical engineering. Eric Naaman is a lifelong entrepreneur with an unconventional career path. He acquired Damotech in 2010 with a desire to grow an organization that would reflect his values in terms of company culture, brand positioning and product identity. As president of Damotech, Eric has been responsible for the growth of the company’s offerings and the hiring of exceptional employees that deliver unparalleled customer experiences, turning Damotech into the largest rack safety company in North America. After studies in mechanical engineering, Eric followed his passion for photography by pursuing a career as an artist in commercial photography and communications. This led him to work with a variety of marquee clients such as Bombardier, Cirque du Soleil, General Motors, Home Depot, YUM Brands and L’Oréal. Marc Rousseau is an experienced sales executive with a strong and diverse 18-year background in sales leadership and business development. As Vice President of Sales at Damotech, Marc is responsible for developing and executing on the company’s sales strategy, whether through its direct sales force, its North American distribution channel or its National Accounts. Prior to joining Damotech in 2015, Marc was a Vice President at GE Energy Financial Services, where he was responsible for the origination of energy project equity investments and acquisitions across Canada. Marc was also a Regional Sales Leader for GE’s Renewable Energy products division where he spent several years leading equipment sales strategies and contract negotiations. He also obtained his certification as a Six-Sigma Black Belt while developing M&A sales integration processes and cross-selling tools at GE Energy. Marc is an ex-US Army officer and a graduate of the United States Military Academy at West Point, where he earned a bachelor’s degree in engineering management and mechanical engineering. He also holds a Master of Business Administration from the College of William & Mary in Virginia. Derek Zakaib is a seasoned executive and entrepreneur with 20+ years of experience in the marketing and technology space. As CMO at Damotech, he is responsible for strategy and growth. Prior to joining Damotech, Derek was CMO at iPerceptions where he was responsible for marketing and the Voice of Customer SaaS Platform. Derek was also VP of Product Design at Stingray Digital where he oversaw digital customer experience. He co-founded and was VP of Product and Marketing at Hexacto, a mobile gaming company. Hexacto was eventually acquired by JAMDAT and following an IPO was bought out by Electronic Arts (EA). 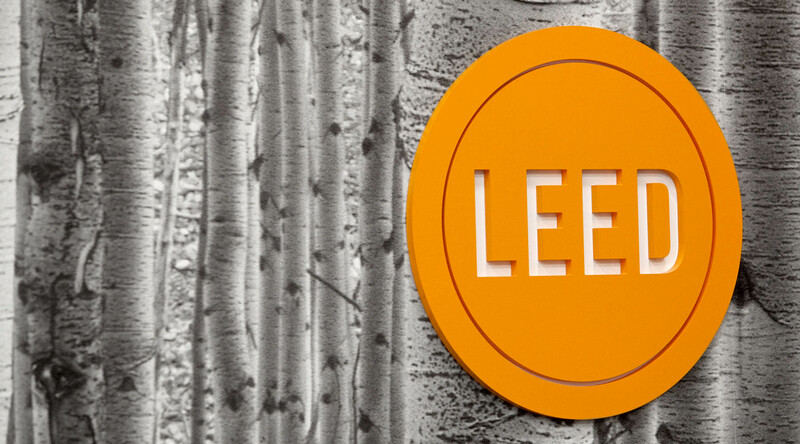 Derek has also worked as an Art Director at Cossette. Derek holds a Master’s degree in Architecture and a Bachelor’s degree in Environmental Design. Damotech's in-house engineers are among the most knowledgeable in the industry. They offer expert engineering services focused exclusively on industrial racking systems and their safety. Learn more about our rack conformity inspections and load capacity calculation services. Damotech offers reputed rack repair kits and damage prevention products for your pallet racking systems. We strive to put an end to the endless cycle of upright replacement. Our units are customizable and built to measure, to meet your specific needs. Damotech is the only company in the industry to offer a software platform that manages your rack assets and inspections. Accessible through the Cloud, the Damotech Platform makes it easier than ever to track your progress toward a safer warehouse.